The sales and service commissioning process should be an integral part of strategic operation of an automotive dealership. The most successful auto dealership groups and stores employ key best practices when it comes to paying commissions to their sales and service personnel. What are some of these key best practices when it comes to paying commissions to sales and service representatives? Here one such best practice in a multi-part series. 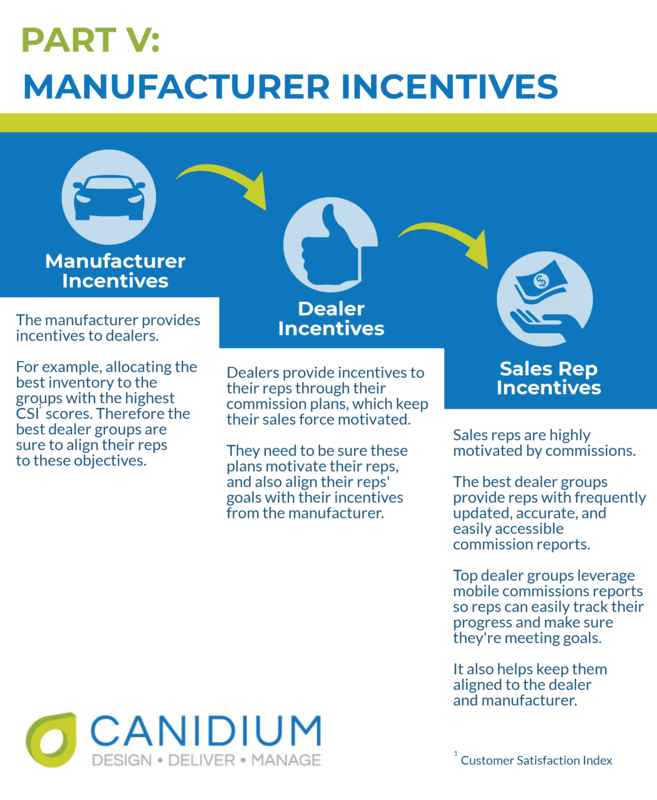 The intelligently run auto dealership group maximizes dealership level incentives by aligning their requirements with sales rep commission components and incentives. Rewarding sales reps, when they exhibit behavior and performance that allows for dealerships to earn incentives, fosters a win-win and team atmosphere. Dealership groups employing this best practice typically have structured commission processes and systems that allow them to efficiently make tweaks or additions to sales personnel commission plans to bring them into quick alignment. To receive future pieces in this series, opt-in below! See Part IV here.